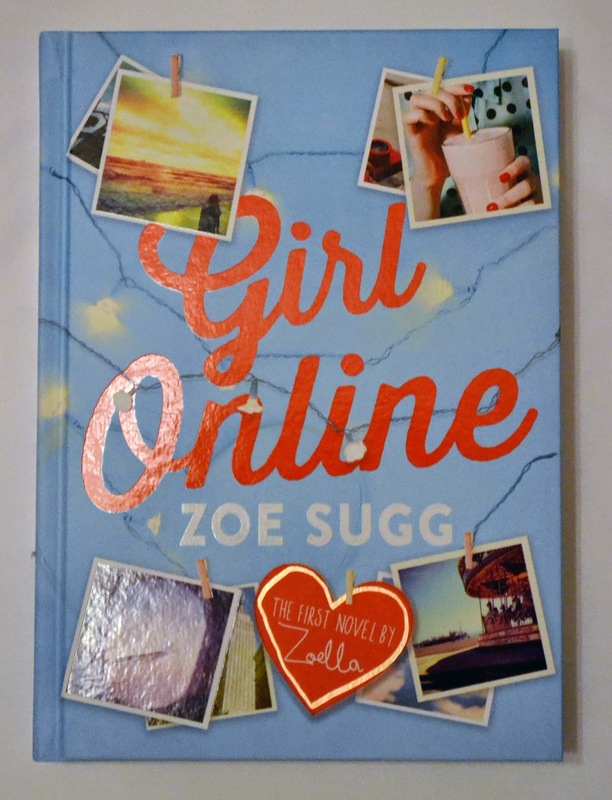 Girl online is the debut novel by Zoella (Aka Zoe Sugg) If you don't know who she is then have you been living under a rock?! It has become a best seller and broken world records. Zoe has had a lot of bad press about this lately and I don't want to go into it, I really don't care if its ghost written or not, I am just going to be giving you my honest opinion on the book! I honestly love this book, I was a bit skeptical at first, but I really enjoyed the story and characters. I also love the design on the front cover. I started reading this on Saturday and by Monday I had finished it all! I was really hooked by the story line and couldn't put the book down! The way the book is wrote is not difficult to read or understand and is a nice easy read, which sometimes can be a good thing. I was really surprised at how much I was hooked to the book, normally I like to read a book that requires you to think a bit more. Whilst I was reading this book I found a lot of references made to Zoe, how Penny (the main character lives in Brighton, the topic of anxiety, blogging and how the internet and media can make things out to be worse than they are.) I loved the fact Zoe included anxiety, personally I don't suffer from panic attacks but I do get anxious in certain situations and I loved the way she puts the message across that your not alone and ways "Penny" copes with it, it also helped me to understand how people in that situation might feel. I don't want to give too much away about what happens but here is a little bit about what happens. Penny is a girl from Brighton who goes to New York with her parents and Best friend Elliot, where she falls in love with a boy called Noah. Penny has the blog "Girl online" and documents everything on the blog! I'm 18 and really enjoyed it, if your looking for something really heavy, then this probably isn't the book for you but if your looking for something light then I would give it ago! Have you read girl online yet? What did you think of it? I enjoyed this book but felt that it was too much of Zoe and not enough original thought. Probably my only criticism though. I really enjoyed reading it! I loved the whole concept and story behind it, In a way I liked that it was related to Zoe! Thank you :) I'm exactly the same, I really enjoyed reading it but would normally read a heavier novel, I was really hooked to the storyline! Its a really good book! She is a British Youtuber and blogger!